We’re living in the digital era which our shopping habits seem to reflect on. People tend to buy more and more goods online. The reason is simple: it’s easy and often cheaper than real-life shopping. E-commerce is a growing business, but having a good online store is challenging. The market is much bigger so your store needs to stand out in one way or another. Creating a good looking product slider for your home page with an “add to cart” button is a great start. 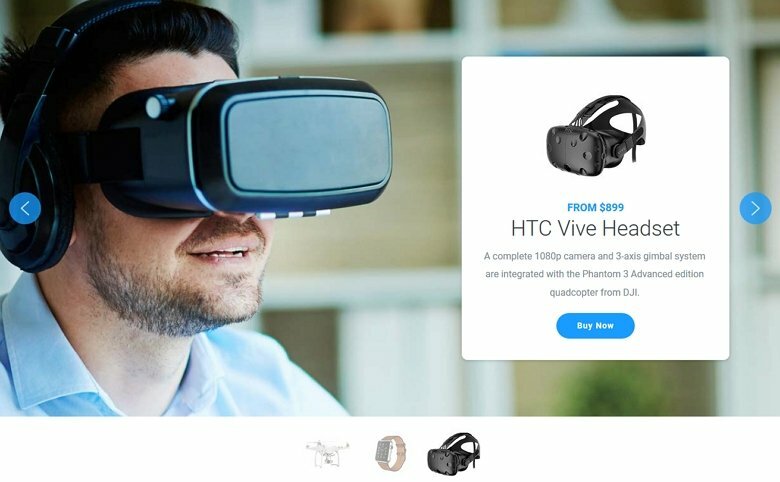 You can use this slider to show your featured products, which can attract more people. If you have a large online store, it’s not easy to give a proper introduction to your products, but it’s important to do so. If the customer has no idea whether the store sells a product they’re interested in, they leave and you lose money. So it’s important to display your products as soon as the visitor arrives at your site. Showing the products you have on sale might as well convince hesitant customers to spend a few bucks. And they might take a deeper look at your store and buy other goods as well. WordPress powers over 33% of the web, so it’s not surprising that people choose it to be their e-commerce platform. Smart Slider 3 is an easy-to-use WordPress plugin which you can use to create beautiful product slides. There’s a free and premium version of the plugin, and even the free version allows you to create a slider with product images. The whole editing process happens on your WordPress dashboard. 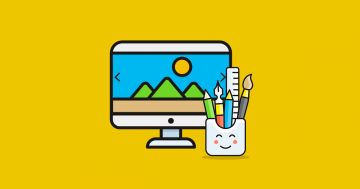 You don’t need any coding skills, you can work visually. Once the slider is ready, you can publish it to any page or post. Product Slider created with Smart Slider 3. It helps the visitor focus on the product. At the same time, it gives them the extra info they need before purchasing. Why should you choose Smart Slider 3 as your product slider? Many product slider plugins try to sell themselves by telling you what you can do with the plugin. For instance, they say you can create a slider by choosing one of the 20 or so available templates. The plugin author tries to convince you to use their plugin because you can choose from 20 templates. This is a large number, and lots of people think: yes, it’s great, I can create 20 different product sliders! But did you actually notice they try to sell the product by showing one of its limitations? You can create unlimited number of product sliders, but you can only choose from 20 templates. No longer feels like a great feature, does it? Smart Slider 3 does not limit you this way. While we do have templates you can choose from, that’s only for inspiration. You’re not limited to predefined layouts. You can make your product slider look any way you want to. This is the true way to create unlimited number of product sliders! A boxed product slider like this is one of the possible layouts you can create with Smart Slider 3. WooCommerce is considered to be the ultimate e-commerce solution for WordPress. The best part is that it’s completely free, and it’s as easy to use as to create a post. But of course, its products and their details can be created with WooCommerce. The products can also have various attributes, like size, or color. And it can be important to display this information on your product slider. Since WooCommerce is extremely popular, there are many plugins to extend its functionality. Lots of product sliders are available, but they tend to be not so feature-rich. And they even lack customization options, so you can’t always create the layout of your choice. Smart Slider 3 doesn’t have any limitation on the layout, you are free to create your own. Smart Slider 3 is a flexible WooCommerce product slider. You can select the categories and tags your products come from and set the amount of them. For example, your product slider might have 10 slides, or 20. Need to create a slider from certain products? Enter their ID or SKU and the slider will generate the product slides for you. The WooCommerce slider can display many details about your product. For instance, the product’s name, description, image and much more. It’s up to you what information you would like to show in the product slider. You might choose to display only the product image and title with a “read more” text. This way your slider will be less crowded and visitor can check out all the details when they choose to do so. And the best part is that the layers can have a nice layer animation. These features make Smart Slider 3 the best WooCommerce product slider plugin available. A product slider highlights the best goods the web shop offers in a clean and modern way. As for today’s trends, a product slider must be responsive. This means that the font size has to be big enough to make it legible on any device. If your mobile visitors have troubles with the product slider, they get frustrated. They leave the site and you lose customers and income. If you use Smart Slider 3, you don’t have to worry about this. Your product slider will be responsive and look nice. 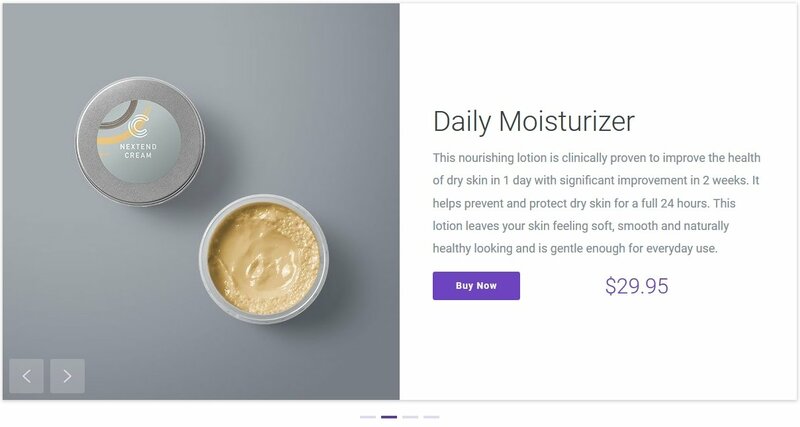 Use the product Showcase to slide your WooCommerce products in an elegant way. 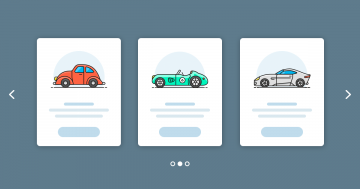 When you create a product slider, you probably look for the Carousel or the Showcase look. These sliders show many smaller product slides together. This creates a nice layout and has a great responsive behavior. They work in a very similar way, and the main difference is how they behave in a responsive scenario. The WordPress Carousel shows the slides in the same size and shows more or less depending on the available space. The Showcase shows the same amount of slides in every responsive scenario. This means that the visitor sees, for example, four slides on both desktop and mobile. 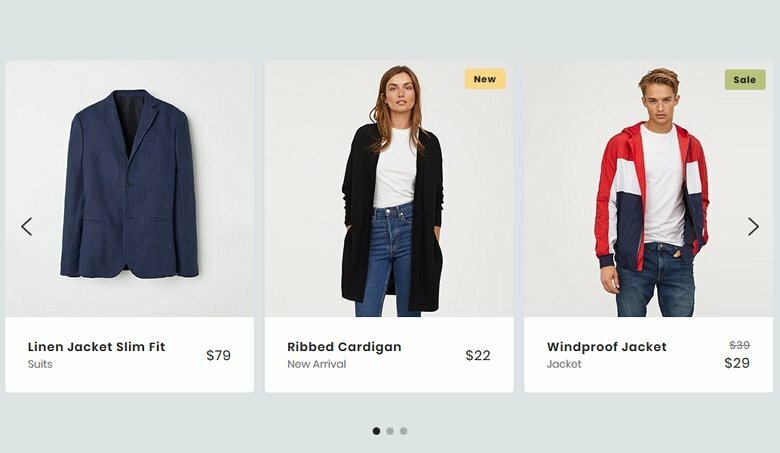 WooCommerce Product slider carousel is the best way to show your products in a modern and responsive way. 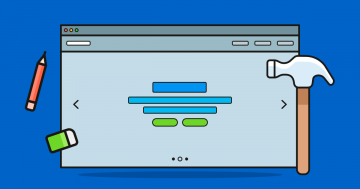 When you create a product slider, it’s important to show specific details of the product. Smart Slider 3 has 16 layers to help you create the best product slider layout you would like to. The image layer might display the featured image of the product. But if you have many images, you can add more image layers, which show their image in a lightbox. This way the visitor can enjoy the product images in the highest possible size. The best layer to show the name of the product is the heading layer. For the product description, the text layer is the best choice as you might make it shorter on mobile. You can create buttons to direct the visitor to the product or category page, where they can read all details.